Nic Cage has paid off $6 million of his massive tax bill. TMZ obtained a copy of the document showing the federal government released a lien against Cage after he paid the IRS $6,257,005 on Feb. 15. That was the balance of what he owed for the 2007 tax year. In late 2008, the federal government placed a tax lien on Cage's real-estate holdings. "Everybody makes mistakes. 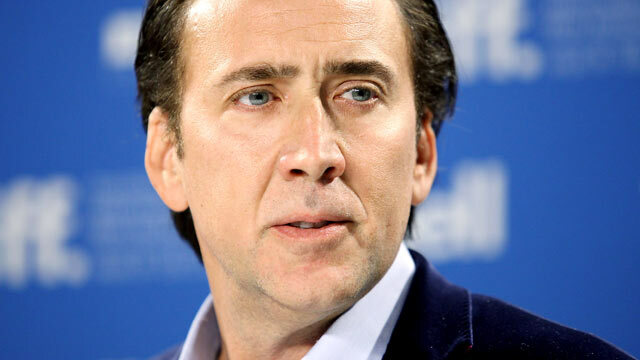 It's part of being human," Cage said on "Good Morning America" last year. "Some people say you have to be a sinner before you can be a saint." Cage is only half way to solvency. The "Ghost Rider" actor has admitted to owing the IRS a total of $14 million and has said that he is taking steps to repay it, starting with switching business managers. Despite being one of Hollywood's highest-paid actors, Cage has had an avalanche of financial problems in the last few years. Cage has yet to comment on Sheen's story.